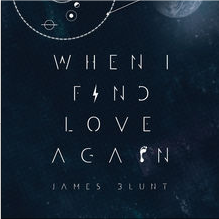 James Blunt’s must love Australia as he’s released an exclusive EP just for us Aussie fans…. The When I Find Love Again EP will feature 5 brand new tracks and an exclusive live version of Bonfire Heart recorded at the ReeperbahnFestival. The first single to radio, When I Find Love Again was written with Steve Mac and Benny Blanco. A video for the track, shot in Ibiza and directed by Vaughn Arnell, showcases James’ horse riding prowess can be checked out below. James Blunt’s last album, Moon Landing, achieved platinum sales in the Australia and is James’ biggest album of the last seven years. In the UK, the album spent thirty-three weeks in the top 40 of the OCC’s Official Album Chart, and hasn’t left the top 100 since its release a year ago – his longest run in the chart since his record-breaking debut Back To Bedlam. You can catch James live this week as he will be doing a special live performance on Dancing With The Stars this coming Tuesday November 4th. Grab your copy of the Australian exclusive EP on iTunes now..!